There isn’t an industry or sector that cryptocurrency won’t be able to improve. From its humble beginnings as an alternative to regular cash, the power of cryptocurrency – and Bitcoin especially – has propelled the technology’s reaches into many business models. Bitcoin is already used as a payment method in several casinos, offers a different way for consumers to engage with businesses and enables a wider reach for some games. Bitcoin’s use in sports betting is largely due to speed, ease, and security. It also gives a greater amount of people the opportunity to bet on the sports they want to. Beginner’s Guide: What is Sports Betting? Sports betting refers to simply wagering on the outcome of a sports fixture, placing money on one outcome, with all outcomes offering different odds. Sports betting allows bettors to choose what sport they want to bet on and what specifically they want to wager on that sport. The options for sports betting are varied. Accumulators for sports such as soccer allow an even more intense and immersive experience as bettors can use strategy and calculations to attempt to win more money than single bet wins may provide. When it comes to the types of sports you can make predictions on, the choices are abundant. There are the standard games of football, soccer, tennis, rugby, cricket, baseball, and basketball with some bookmakers also offering the chance to bet on volleyball, horse racing, darts, chess, snooker, floorball, and handball. The latest sport to bet on is arguably not even a sport at all. The rise of esports as a valid opportunity for bettors and a qualified sport for most bookies means that League of Legends, Dota 2, and Fifa online championships all provide betting opportunities too. In fact, some brands offer betting opportunities on TV events and political outcomes as well. What Bets Can You Make? When it comes to sports betting, the bets you can make are wide-ranging. 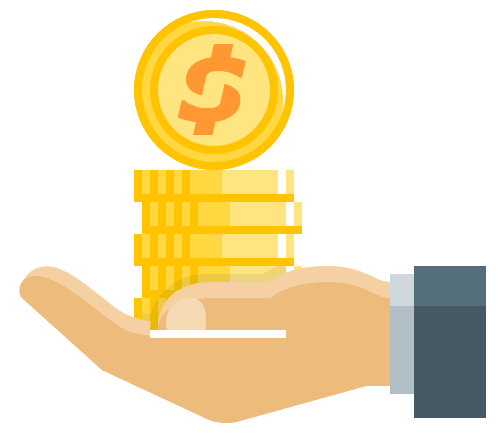 You can find the best odds to suit your budget or the amount you are hoping to win back. You can find the outsider odds if you’re feeling lucky, or you can split the bets with an accumulator to try to win a series of bets that increase your overall winnings. Most sportsbooks offer the entire gambit of betting options so that whatever specific aspect of betting on sports appeals to their customers, they have each area covered. And some of these just happen to enjoy betting using cryptocurrency! The win bet – or money line – refers to placing a bet on who you think will achieve the winning outcome. Point spreads are more complex in betting terms. This means that when you bet, the team you bet on has to “cover the spread” or win/lose with a prearranged margin of points. Total or over-unders are also a way of betting on sports, which either let you bet on the total amount of points scored in the game, or whether you think the score will be over or under a preset number. Future bets allow you to bet on anything that might happen in the future in the sporting world. Betting on a player at the start of a season can make each game intensely more exciting as you follow their progress throughout the season. Accumulators allow you to bet on multiple outcomes at once – but you only win if every outcome comes out in your favor! Why Use Cryptocurrency for Sports Betting? The security measures in place are the main drawing point for using cryptocurrency for sports betting. No matter your payment method, safety and security should be at the forefront of your mind. Sites that use cryptocurrency should also have two-factor authentication and the right encryption in place. 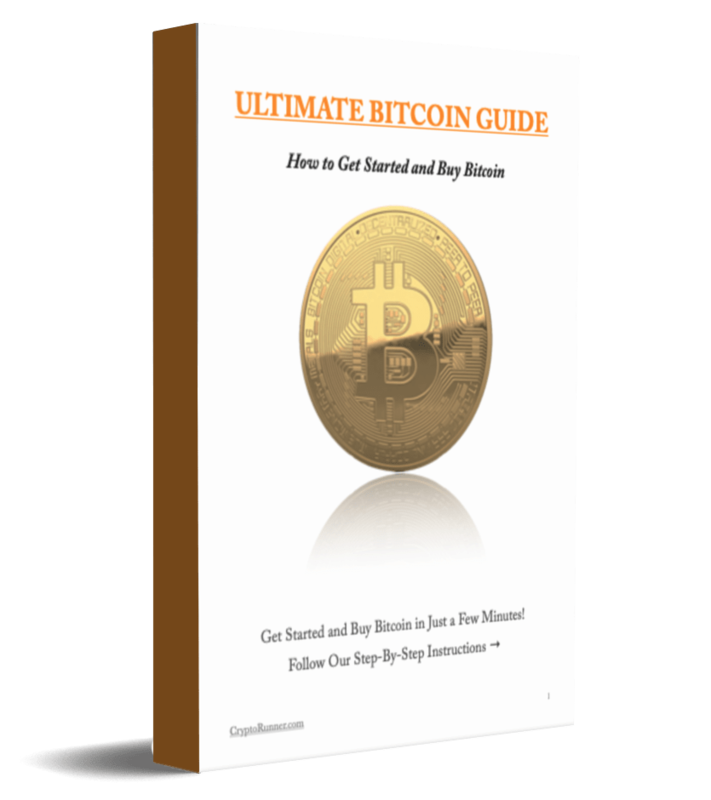 Bitcoin bets are placed through secure portals of the web. Winnings are then transferred directly to the digital wallet in the form of Bitcoin or whichever cryptocurrency was used to make the bet. Cryptocurrency comes from cryptography, which is the science of encrypting messages, so by definition crypto coins are designed to be harder to crack and hack than other forms of payment, offering a greater level of security and safety for the user. 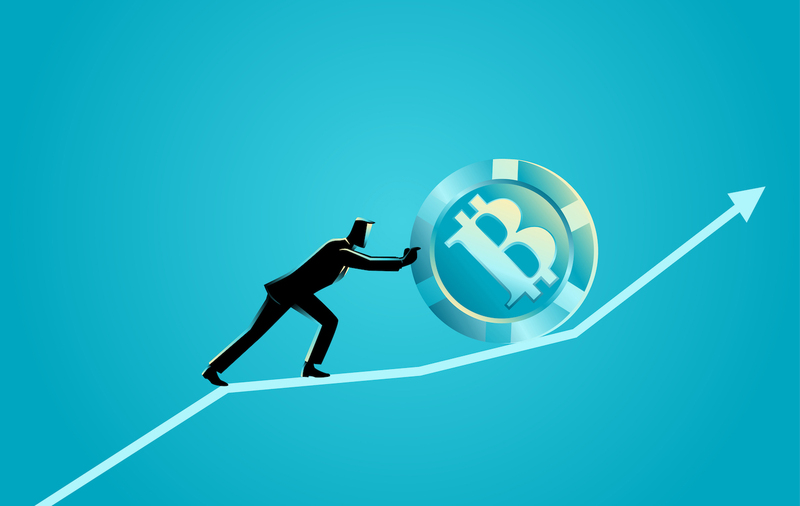 Compared to the tumultuous journey other currencies are currently on, the rising value of Bitcoin is another benefit of using Bitcoin when placing sports bets online. The cryptocurrency is seen in some countries as an extremely lucrative tool of investment, despite the fact it is decentralized. Placing a sports bet using the rising value of Bitcoin means that you aren’t susceptible to the ebbs and flows of traditional currencies tied to countries and banks. Despite the assertion that the crypto market is volatile, most cryptocurrencies remain bullish on the markets. With the reduced currency risk, bettors are given more peace of mind to focus on which bets they’re going to go for. The structure of Bitcoin means that there are no banking fees when you use them to place a bet (or at all). That means that Bitcoin prices and value are transparent – more transparent than some banking organizations make traditional currency payments, at least. This means that sports betting can set a different rate of minimum and maximum deposits compared to other currencies. This lowers the barrier for entry for some sports bets – you can bet smaller amounts and larger amounts than other currencies might allow. Bitcoin sports betting bonuses also tend to be more enticing than with other currencies. This is in part due to the savings that the sportsbook will have made through the use of cryptocurrency. Often, to entice you to play, these savings will be passed on to you! One of the major benefits of Bitcoin, in general, is the anonymity which has made it the essential go-to form of payment. Despite the anonymity, the network uses unique IDs and passwords to authenticate each Bitcoin transaction, ensuring that these digital tokens are protected, as is your identity. Amounts of Bitcoin are transferred from one digital wallet to another without the need to disclose sensitive personal information, which could be used in some settings against the user. The anonymity issue may not factor in many people’s minds, but it does offer a quantum of solace for those who are concerned. One of the benefits of Bitcoin is the speed of the service compared to other methods. In fact, we can say the same for most cryptocurrency. For instance, SWIFT payments for cross-border transactions with banks are likely to be replaced by the much quicker and cheaper Ripple-led alternatives. Cryptocurrency does exactly what more traditional payments do only faster. This could be said for accessing winnings once you’ve won, and for placing bets, to begin with. Most sportsbooks using cryptocurrency are eager to provide the best customer service to further proliferate the use of cryptocurrency for sports betting. The use of Bitcoin in sports betting also does away with the need for some of the substantial administration fees that credit card payments incur. Bitcoin and crypto transactions are given priority in a lot of sports betting scenarios due to their nature compared to other kinds of transaction and currency. This is an interesting one. As Bitcoin is decentralized and not controlled by one entity, no third party authorization is needed for transactions. Therefore, your transaction is guaranteed through mathematical contracts established when you make a transaction, not a human middleman. Moving Bitcoin from place to place is, therefore, easier than moving other forms of financial payment around and not subject to any interference that could stall your payment, paying in, or even reject your transaction. When it comes to actually betting on sports with cryptocurrency, it couldn’t be simpler! Set up an account and then fill your digital wallet with Bitcoin either through a direct transfer or with a QR code. Choose your sport and type of bet you want to make and then fill in a betting slip. Wait until the result is announced and then request your payment. Sometimes you can place in-play bets, which allows you to change your bet throughout the game live, adding a new dimension to sports betting. Using cryptocurrency in sports betting gives you a greater range of control by taking advantage of what is arguably the most advanced payment method available. When sportsbooks offer to accept crypto payments, we can tell they are dedicated to the future of technology. Their software is likely to be state-of-the-art. The security measures also mean that your transactions are protected and you are able to stay anonymous. The freedom of the decentralized blockchain technology that Bitcoin is based upon means that it isn’t subject to governments, so the price is usually better than some currencies. Money can be accessed easier and transaction fees are waived due to the ease with which transactions can take place. Overall, cryptocurrency for sports betting takes care of the hassle, leaving you time to spend betting on the sports you love! Easy & Secure. Open An Account In 5 Minutes. Deposit Bonus: 100% + 100 Free Spins.